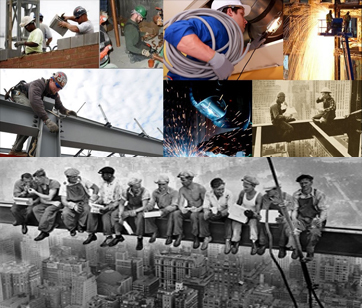 Workers' Compensation Attorneys Working For You in Michigan! Do You Have Michigan Workers' Comp Problems? Our attorneys can help! Representing Michigan workers is what the Law Offices of David Zimmerman specializes in. We have handled thousands of workers' comp claims, trials, and settlements all throughout Macomb County, MI, as well as, Oakland County, MI, Wayne County, MI, Livingston County, MI, Genesee County, MI, Ingham County, MI, Lapeer County, MI, Southeastern Michigan, and all counties in Michigan. Let the attorneys at the Law Offices of David Zimmerman navigate this complex workers' compensation system and get you the workman's comp benefits you deserve. We've represented clients at all of the Workers' Comp Bureaus in Michigan. Have Your Workers' Compensation Benefits been Denied, Stopped, Terminated, or Cutoff? In Michigan, many workers injured on the job are entitled to receive payment for their medical bills and 80% of their average weekly wage. Workers' compensation is designed to protect employers from being sued and provide monetary reimbursement to the worker who has been injured on the job. Remuneration from workers' compensation includes lost wages, medical reimbursement and vocational rehabilitation services. Survivors of those who died on the job can also file claims. The Law Firm of David Zimmerman, serving all of MI is a specialty-service firm, with a number of sub-specialties all related to disability and injury law. Our workers' compensation attorneys represent the individuals and families that are disabled, never insurance companies. When you are looking for a specialty law firm that works on workers' comp claims, don't settle for less than an attorney that has handled your specific type of claim many times before. Let our lawyers help guide you through the system. Call toll-free for a free consultation with a MI workers' compensation lawyer. Call today for the worker's comp rights you are entitled to. The Law Offices of David Zimmerman has its headquarters in Sterling Heights in Macomb County, Michigan. Our attorneys specialize in workers' compensation (comp) law, social security disability law, negligence and personal injury law. Our attorneys serve all Michigan, including the cities of Warren, Sterling Heights, MI, Shelby Township, MI, Macomb Township, MI, Chesterfield, Michigan, Clinton Township, MI, Fraser, MI, St. Clair Shores, MI, Romeo, MI Utica, MI, Mt. Clemens, MI, Centerline, MI, Roseville, MI, Harrison Township, MI, Washington, MI, and Metro Detroit, MI. Our workers' compensation lawyers regularly represent residents of the surrounding areas of Wayne County, Oakland County, Genesee County, St. Clair County, Ingham County, Lapeer County, Washtenaw County, and the entire State of Michigan. The Law Offices of David Zimmerman has its headquarters in Sterling Heights in Macomb County, Michigan including Macomb Township, St. Clair Shores, Chesterfield, Mount Clemens, Romeo, Warren, and Shelby Township. We specialize in workers' compensation (comp) law, social security disability law, negligence and personal injury law in the greater Metro Detroit area including Troy, Novi, Brighton, Livonia, Ann Arbor and also servicing Eastern Michigan, Wayne County, Oakland County, Lapeer County, Livingston County, Downriver, Western Michigan, Mid Michigan including Lansing and Jackson, the Flint, Saginaw, Bay City, Port Huron area, Monroe, Lapeer, the Northern Michigan areas including Traverse City, Alpena, and Petoskey, and the upper Michigan area. It can be very difficult to obtain social security disability (SSD/SSI) benefits or all of the worker's compensation benefits that you are entitled to without legal representation. Our social security disability attorneys are specialized in handling the complexities of the social security disability claims process in Michigan as well as fighting on behalf of injured employees and their families for the workers comp benefits they deserve. Our law office only represents injured workers, never insurance companies. You can be assured that our social security attorneys, SSD attorneys, and personal injury attorneys are on your side. Should you need representation for personal injury sustained as the result of negligence, our injury lawyers are here for you. Our personal injury law firm has litigated thousands of negligence and personal injury claims in Michigan. Negligence claims like dog bite and animal attacks, auto, truck and motorcycle accidents, boat and boating accidents, birth defects, trauma, disability, other medical malpractice and negligence, and wrongful death.